of Woburn, September 13th. Beloved wife of the late William M. McDonough. Loving mother of seven, Catherine D’Elia, her husband Ralph of Australia, Stephen McDonough, his wife Kathleen of Woburn, William F. McDonough, his wife Lisa of Natick, Sara McDonough of Woburn, Patrick McDonough, his wife Jennifer of NH, Mary E. McDonough – Jacques, her husband Andre of NH and John J. McDonough, his wife Amy of Tewksbury. Cherished grandmother of ten. Dear sister of Richard Callahan, his wife Anne Marie of Lowell and the late Catherine Callahan Sullivan, Edward and John Callahan. Also survived by several nieces and nephews. A Funeral will be held from the Lynch-Cantillon Funeral Home, 263 Main Street, Woburn on Wednesday, September 19th at 9 a.m., followed by a Funeral Mass in St. Charles Church, 280 Main Street, Woburn at 10. Interment in Calvary Cemetery, Winchester. Relatives and friends are respectfully invited to calling hours in the Funeral Home, from 3-7 p.m. on Tuesday at the Lynch-Cantillon Funeral Home 263 Main St., Woburn. For directions or to leave an online condolence, please visit www.lynch-cantillon.com or Facebook under Lynch-Cantillon Funeral Home. Mary Frances (Callahan), passed away early Thursday morning, Sept 13 at the Kaplan Hospice House, in Danvers. The beloved wife of the late William M. McDonough, she was seventy-seven years of age. Born in Woburn, she was the daughter of the late John J. and Helen S. (Cox) Callahan. Raised in the South End of the city Mary Frances was one of five children born into the Callahan family. Mary Frances was educated at St. Charles Elementary and High School, graduating with the Class of 1958. 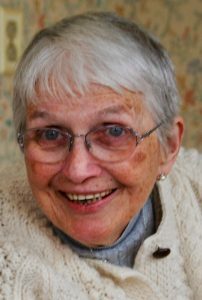 She received a Bachelor’s degree in Elementary Education from Emmanuel College in Boston in 1962 and went on to a career in teaching, primarily in the Woburn school system. She taught at the Wyman School before getting married. She left the school system to raise her family and returned, first as a substitute teacher, and then at the Goodyear, Clapp and the Hurld as a full-time teacher. Mary married William (Bill) in 1968 and moved to Woburn’s Central Square where they raised their seven children. Mary’s greatest pride was her family. She was a devoted mother to Catherine D’Elia of Australia, Stephen of Woburn, William of Natick, Sara of Woburn, Patrick of Salem NH, Mary (Jacques) of Salem NH and John of Tewksbury. Known as “Maisie” to her ten grandchildren, Mary’s favorite times were those spent in the company of her large and loving clan. Mary was a devout Catholic, attending daily Mass after she retired. She volunteered as a Eucharistic Minister at St Charles Church. Mary was preceded in death by her husband William (Bill), brothers John and Edward Callahan, and her sister Catherine Sullivan. She is survived by her brother Richard Callahan, her seven children and ten grandchildren. A Funeral will be held from the Lynch-Cantillon Funeral Home, 263 Main Street, Woburn on Wednesday, September 19th at 9 a.m., followed by a Funeral Mass in St. Charles Church, 280 Main Street, Woburn at 10. Interment in Calvary Cemetery, Winchester. Relatives and friends are respectfully invited to calling hours in the Funeral Home, from 3-7 p.m. on Tuesday at the Lynch-Cantillon Funeral Home 263 Main St., Woburn. For directions or to leave an online condolence, please visit www.lynch-cantillon.com or Facebook under Lynch-Cantillon Funeral Home. To John: My condolences to you and your entire family. You are all in my thoughts and prayers. My heart goes out to your entire family. Your mother was a special lady! We mourn the loss of such a wonderful lady. We will celebrate her life and family during this difficult time. Our thoughts and prayers are with you. I was saddened to hear of Mrs McDonoughs passing. Mrs McDonough was my third grade teacher, many years ago at the Wyman School. She was a wonderful teacher and a very kind person. All my sympathy to her family. To Cath and your entire family, I send my deepest regrets in the loss of your Mom. Growing up, I remember that even with all the organized chaos, your Mom always had “room for one more”, I always felt welcome there. She was a gracious and kind woman. Sharing in your loss, sending hugs and prayers. So sorry for the loss of your Mom. Great memories will hold her close. So sorry to hear of your Mom’s passing. I’m very glad Liam was able to be a part of her life. Cherish your memories and be there for one anther. You have a wonderful family to lean on. Sending love and light to all those she loved and those that loved her. The Golden Family wishes you all peace. Thinking of you all during this difficult time. Sending lots of love from Ireland. The O’Malley Family. We are so sorry to hear about your mom’s passing. Our hearts go out to all of you. Let memories of the times you shared with her give you comfort and remember she will always be watching over all of you from above. So sorry to hear of your mom’s passing. Our thoughts and prayers go out to you all. If there is anything you need help with please text or call. I’m always around. So sorry to hear about the loss of your Mom. You are in my thoughts and prayers. I’m so very sorry for your loss . Your Mom always reminded me so much of my own Mom . Their greatest pride and joy is in the family they raised. May you all find strength in the love that binds you together and the many happy memories you share. Words can’t express how very sorry I am for your loss. Hold each other tight. Love one another right. We’re all better people for having known your Mom. Love and prayers for all of you. So sorry for your loss. My thoughts and prayers are with you. So sorry for the loss of your mother. My thoughts and prayers are with you. So sorry to hear about the loss of your mom. Please let us know if you need anything.